What is telnet and SSH and why to use them? SSH is a network protocol used to remotely access and manage Cisco devices. The key difference between Telnet and SSH is that SSH uses encryption, which means that all data transmitted over a network is secure from eavesdropping. The opposite is true of telnet, all data is transmitted in clear text including passwords. If there is one take away from this post it is this, there is absolutely no good reason to use telnet, ever. Telnet is a legacy protocol by today's standards and was superseded by SSH long ago. In the network below there is one router and two end-user computers. In real world deployments a network could have dozens or hundreds of routers or devices depending on the scale of the network. It is important to have the ability to remotely manage devices and is equally important to do so securely. 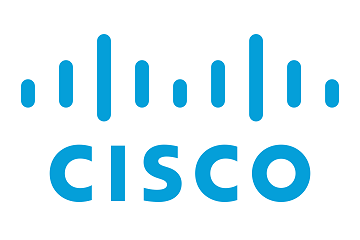 In the below example we will configure NTP to ensure reliable time stamps, configure authentication and RSA keys for SSH, and create access list to ensure only approved hosts or networks can access the Cisco router. Step 1: Configure the appropriate timezone and daylight savings time on the router. Step 2: If you have an NTP server on your network, recommended, you can use NTP in place of the local clock. Additionally you can set the router as an authoritative time source using the ntp mater command so other devices can sync from this router. Step 3: OPTIONAL If you do not have a valid NTP server you should configure the local clock. In this example we do not have a NTP server available so we will set the clock manually. Step 4: Configure a local login, set the enable password and encrypt the passwords. Step 5: Configure the router to use the local user database as well as authentication, authorization and accounting. Step 6: Configure a access list that will be used to permit connection to the router from the LAN only. Step 7: Generate a RSA key with a label of sshkey that will be used for SSH connections. Set both modulus to 768. Step 8: Configure SSH to use the new RSA key we generated in step 7, set the SSH version to version 2, and audit both successful and failed login attempts. Step 9: Configure the router console and vty interfaces. The below configuration will enforce SSH connections in place of telnet, enforce session timeouts and prevent console messages from being injected when typing. Now that the configuration is finished lets verify our SSH deployment. Using the ssh command on PC1 to verify remote connectivity to R1. You will find ssh to R1 is successful from PC1. Repeat the same steps but try to connect this time from PC2. Your connection will fail. Using the show log command on R1 to display time of logins, if they were successful, the source, port, and when the sessions were terminated.